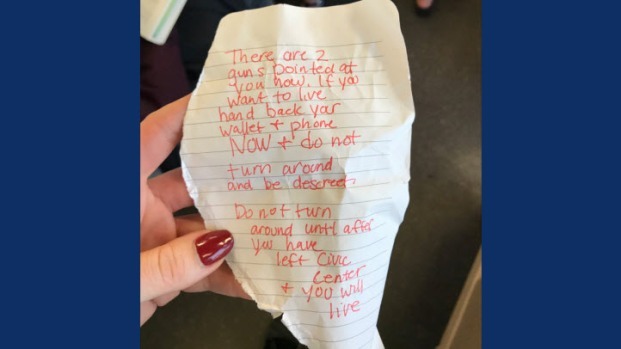 Surveillance video supports an Oakland woman's report last week that a would-be robber handed her a threatening note, according to BART police. 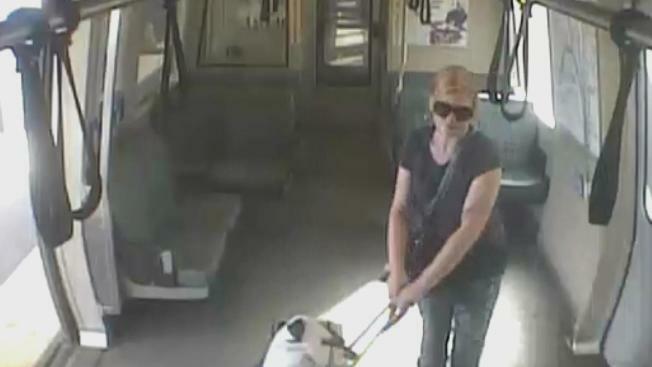 The woman, Julie Dragland, said she boarded a train in Daly City and was heading home to Dublin when a person in dark clothing climbed onto the train in downtown San Francisco and thrust a note at her. She said she faked a seizure to thwart the would-be robbery. Surveillance image of robbery suspect on BART. BART police Deputy Chief Lance Haight said Monday video from the train shows the suspect was seated behind the victim, who was sitting alone. The suspect, who was also alone, is then seen reaching over the victim’s shoulder, which is when the suspect may have dropped the note, Haight said. Dragland immediately pretended she was having a seizure. In response, the alleged suspect disembarked at the Powell Street BART station. There is no indication from the video the suspect was armed with any weapons. The victim said she was shaken up and will no longer sit on a BART seat with its back to other chairs behind it. Dragland, however, won’t let the frightening encounter stop her from riding BART trains altogether. Dragland doesn’t plan to press charges if the suspect is caught. BART is investigating the alleged crime and poring over surveillance footage. Although there were roughly 15 people in the BART train car, no one else reported the incident, police say.